Creative work concept. Hand drawn creative illustrations of flowers. The birth of an idea. 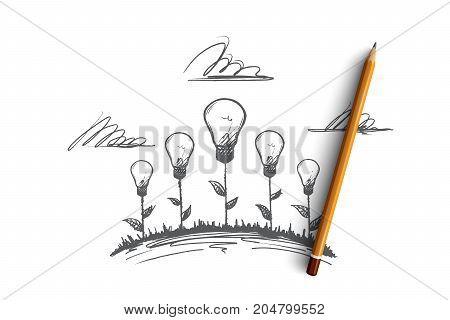 Incandescent lamp the symbol of creative idea isolated vector illustration.